You've found the “U.S. Leghorn Chicken Breeders” page here at Hobby Farm Wisdom! If this is the first time you have visited our site: Welcome! 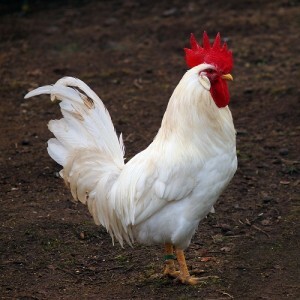 The Leghorn breed of chicken is originally an Italian breed used exclusively as layer chickens. They were imported to the United States in 1828 and have since been bred with a variety of other breeds to increase body size and produce new colors. While white Leghorn chickens are the most popular variety, they come in a wide range of colors including white, red, black-tailed red, light brown, dark brown, black, buff, Columbian, buff Columbian, barred, and silver. White Leghorns however gained their popularity over other colors due to their prolific production of large, white eggs. They fare well in cold weather but their comb has been known to get frostbite. Many owners find applying a layer of petroleum jelly works to prevent this. Leghorns do well in confinement and are very intelligent but are known for having a skittish personality.